Multipurpose retail counter displays racks are great for gaming accessories, computer software, books, greeting cards and other flat packaged goods. 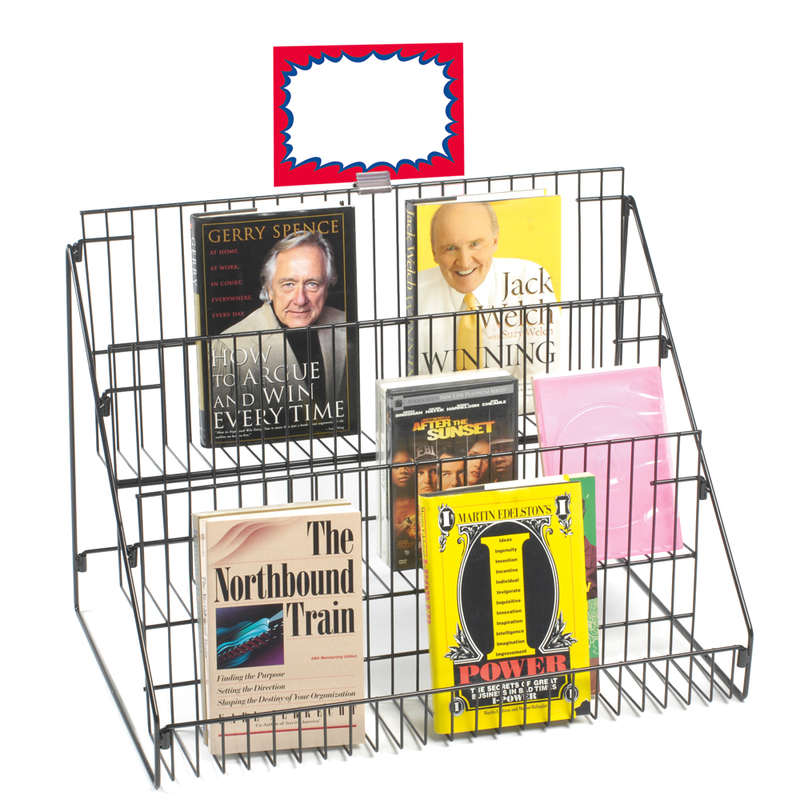 Each tier measures at 23.5 inches wide and 3.875 inch deep to keep merchandise neatly presented. Great for front lobby areas, waiting rooms, medical offices, sales tables and more. 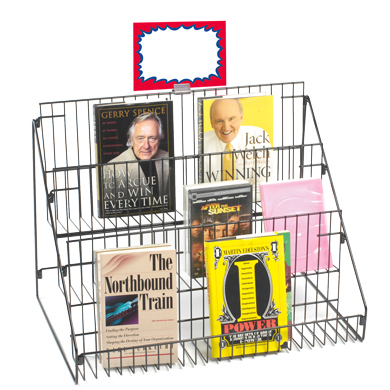 Add a sign holder to get your customers attention, search item 2216.